a. Karin Shugrue, KS PHOTOGRAPHY, hence called the “Photographer”. b. The “Client” is the person who has booked and paid for the service. c. “Service” describes the photographic services by KS PHOTOGRAPHY and includes the consultation, discussion, advice given, capturing of images, processing of images and production of materials such as prints, enlargements, canvases, books and other materials to present photography. Booking Fee and Payment: The Client shall make a booking fee payment as per the pricing information to KS PHOTOGRAPHY to perform the professional services specified in the session specification. Cancellation: If the Client shall cancel this Agreement more than 1 month (30 days) before the photo shooting day, any booking fee paid to the Photographer shall be refunded in full if the Photographer is able to re-book the same date. If the Photographer is NOT able to secure another client for the date, or if the cancellation occurs less than one month (30 days) before the portrait date, the Client forfeits the booking fee. Photographic Materials and Copyright: All photographic materials, such as original digital files, photos, or slides, shall be the exclusive property of the Photographer. The Photographer shall own the copyright in all images created and may use the work for samples, contests, exhibition, advertising and self-promotion. Usage outside the bounds of this agreement will require the Client’s consent. Client’s Usage: The Client is obtaining digital files and prints for personal use only, and shall not sell said prints or authorize any reproductions thereof by parties other than the Photographer. If Client is obtaining a print for reproduction, Photographer authorizes Client to reproduce the print only as set forth under Special Usage Requirements. In such event, Client shall request that a copyright and credit notice for the Photographer be placed adjacent to the photograph on publication, but shall have no liability if the publication refuses or omits to do so. Social Media: This clause applies to all social media, including Facebook and blogs. When published online it is required that citation of the Photographer be made. The client agrees that they will under no circumstances alter any photographs that are placed in public on the internet. The client agrees to be responsible for any family member or friend who posts our photographs online and agrees that they cannot be cropped (with the exception of the forced cropping for Facebook’s Timeline), altered in colour, or edited in any way. Failure to Perform: If the Photographer cannot perform this Agreement due to a fire or other casualty, strike, or other cause beyond the control of the parties, or due to the Photographer’s illness, then the Photographer shall return any funds previously paid to the Client but shall have no further liability with respect to the Agreement. This limitation on liability shall also apply in the event that photographic materials are damaged in processing, lost through camera malfunction, lost in the mail, or otherwise lost or damaged without fault on the part of the Photographer. In the event the Photographer fails to perform for any other reason, the Photographer shall not be liable for any amount in excess of the retail value of the Client’s order. High-Resolution: Images deliverable in High-Resolution (or known as High-Res) are 300DPI with a minimum of 3000 Pixels in the longest edge. KS PHOTOGRAPHY keeps client files for up to 1 year after the photography session, and is not liable for any claims after this period. All client files will be deleted and backups will be purged after this period. Liability: It is client’s responsibility to take care of the children; KS PHOTOGRAPHY will not accept any responsibility due to any accident to children or damage to public or private properties during the photo shooting or consultation session. 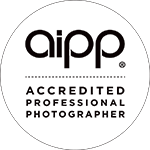 It is understood that no other photographer, amateur or professional, shall be allowed to photograph at the venue (wedding, portrait, family photography , etc.) while KS PHOTOGRAPHY is working, and that any breach of this agreement will constitute a reason for non-completion of the job with no liability to the Photographer and loss of initial deposit by the client. Client accepts that all photographs will be taken and edited at the photographer’s discretion based on the photographer’s experience and artistic view. All deliverable images as per contract will have standard image editing (including: light skin retouch, light and colour adjustments). Any extra edits requested by the client will incur additional cost if accepted by the Photographer. Extra image adjustments include: change the size of the body or parts of the body, replace parts of the body from another image, change the colour of parts of the body, extra skin retouch, replace or swap background. It is also understood that the Photographer is not responsible to fix hair or skin, or makeup problems. It is understood that Photographer is not responsible to fix photos to cover parts of your body that you do not wish to be seen in the photo, unless it was confirmed with the photographer in writing. All the communications with the Photographer or the Studio shall be made in English and in Writing (Mail or Email). Product Descriptions, Price and Currency: All session descriptions, products and packages prices can be found on the KS PHOTOGRAPHY website under the various sections (such as Newborn, Family or Maternity). All prices displayed are in Australian Dollars. Once a photographic session has taken place, no refund will be given of the booking fee or session fee. In exceptional circumstances, KS PHOTOGRAPHY may offer to repeat a session if baby or children have not cooperated for one reason or another. A repetition is at the discretion of the Photographer and will be arranged as soon as possible after the initial shoot. In most circumstances, the customer will be able to view processes images in an online gallery prior to choosing digital or print products. Once a digital product has been delivered on USB, no refund is going to be given, if the customer is dissatisfied. A resolution will be sought to replace, adjust or correct an order. Any complaints should be directed to the Photographer in writing by email to karin@ksphotography.com.au. All customers will be given a detailed timeline after the photographic session, when to expect viewing their gallery, ordering procedure and timing as well as estimated delivery times. Delivery of post session products depends on the nature of order.